Is anyone going to see David Archuleta and Jordin Sparks at this event in Miami? The Starkey Hearing Foundation is teaming up with American Idol and national recording artists, Jordin Sparks and David Archuleta, to deliver the gift of hearing to 100 children throughout the Miami area. The mission is scheduled for Wednesday, February 3rd from noon-4pm at the Eden Roc Hotel on Miami Beach. 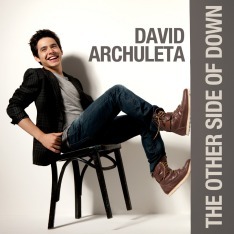 The mission will be followed by a special performance by American Idol Stars, Jordin Sparks and David Archuleta. This mission would not be possible without the support of our sponsors and volunteers. Special thanks to the NFL Alumni, Sproutloud, Comcast, Call Source, the NRA, Delta Zeta, Sparks Charities, Clear Channel, Publix Super Markets Charities, Royal Caribbean and the University of Miami’s Medical School – ENT Department. During the hearing mission, SHF is excited to welcome some of the friends of the foundation to join in the day’s activities including: Jordin Sparks, David Archuletta, Lou Ferrigno, Larry Fitzgerald, Sam Moore, EJ Henderson, Bernard Berrian, Leslie Nielsen, Ethan Bortnick and more. Press conference and celebrity introductions will be at 11:45am. LIVE WEBCAST WILL BEGIN AT 11:45am EST.